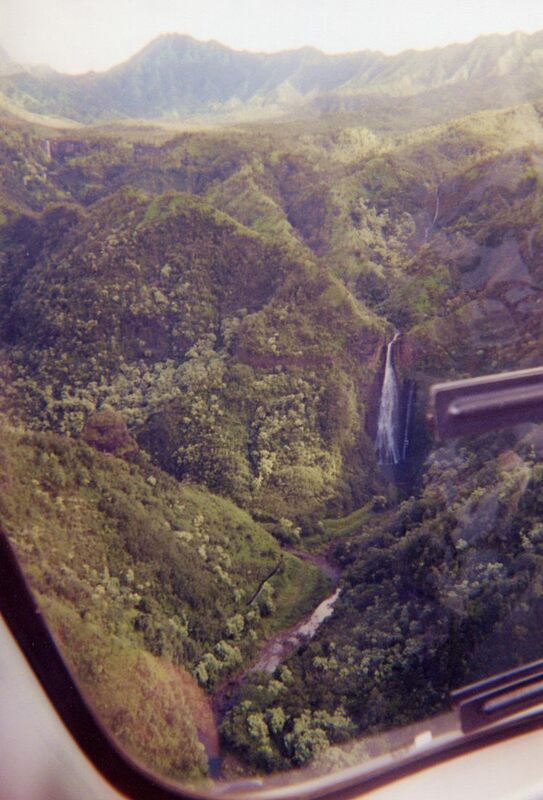 One of the best uses of your time when visiting Kauai is to take a helicopter ride. The rides are not cheap, but they will allow you to see parts of Kauai that you can see no other way. The ride will be something that you remember and relish the rest of your life. In fact, many companies will give you a video of your flight or a similar flight as a souvenir so you can relive your flight whenever you want. 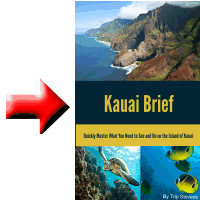 Much of Kauai cannot be reached by car. Thick jungles and rugged terrain just won’t allow the passage of automobiles. This is where a helicopter really comes in handy. From the air, you can see such spectacular sites on the Na Pali Coast like the Honopu Arch or the Cathedrals. You can also see other sites on the island like the homes of movie stars or the Waialeale Crater Waterfalls or Manawaiopuna Falls (from Jurassic Park fame). While you can drive up the Waimea Canyon, a helicopter ride will allow you to see sites that you just can’t see from the road—adjoining canyons and secluded waterfalls. There are just some things that cannot be experienced with a hike or car ride. Being able to see the beauty of Kauai from the air drives home the vastness of the jungles and the majesty of Na Pali Coast. There is a difference in views from being a flea on a tiger or seeing the beauty of the animal from 20 yards away, and the beauty of Na Pali Coast is one of those things better seen from a distance. Helicopter rides are typically one hour or two hours long. 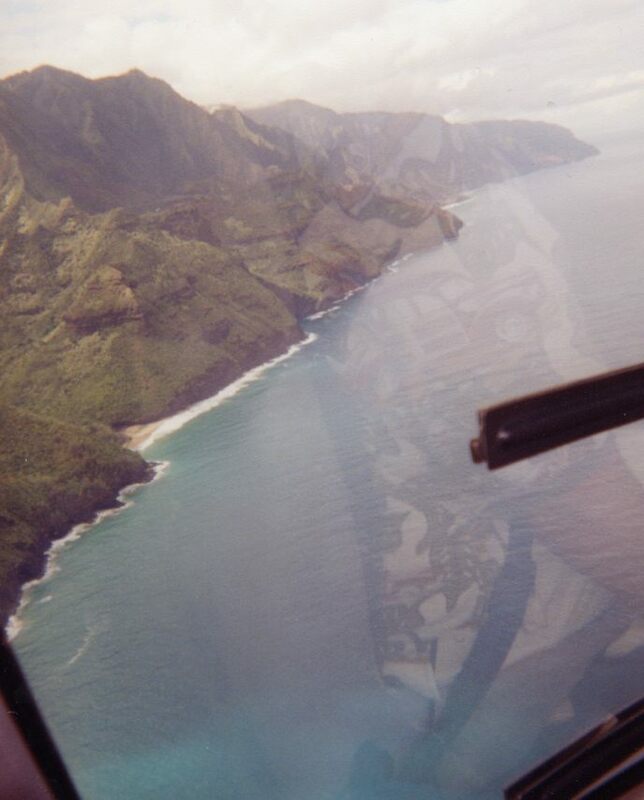 You can also charter your own flight with some of the helicopter tour companies on Kauai. Safety is typically a big concern when choosing helicopter companies. There are a couple of internet resources you can use to check the safety history of different helicopter tour companies. The easiest and most obvious would be to do a simple internet search for helicopter accidents. Use “helicopter accident Kauai” to find the companies that have had recent problems. Your second source is to search the website of the National Transportation Safety Board. Go to http://www.ntsb.gov and do a search using Hawaii as the location. If those two resources provide too much information to synthesize, use other methods to research your helicopter companies. Then when you get your list down to two or three companies, repeat your internet search using the search terms “crash” and the name of one of the helicopter companies from your list. Repeat the process for all companies on your list. Another great internet resource to help you choose your helicopter company is Trip Advisor. Go there and search for “Kauai helicopter” to see what others have to say about their experiences with different companies. A big advantage to doing your research online is that most companies will give you a discount if you book online. While researching your helicopter company online, it will help to look into the specific helicopter each company flies. Once you learn which copter a company uses, do an image search on the internet to see the seating arrangement. A helicopter with four seats in the back will mean that two people will not get a window seat. Also, if you get a chance to pick your seats, you should pick a seat on the right side of the craft. Most of the helicopters tour the island in a clockwise direction so a seat on the right will give you the best views when rounding the Na Pali Coast. Most helicopter companies require that you arrive 45-60 minutes to check-in before your flight. Plan accordingly. Also keep in mind that because of the noise of a helicopter, you wear headphones during the tour. The headphones quiet the noise and also allow you to hear the pilot instructions and narration of the tour. Headphones don’t go well with certain earrings or hats, so dress appropriately. The helicopter rides are quite expensive (typically $200/person and higher). If you cannot afford a helicopter ride, you should get a boat ride up the Na Pali Coast.